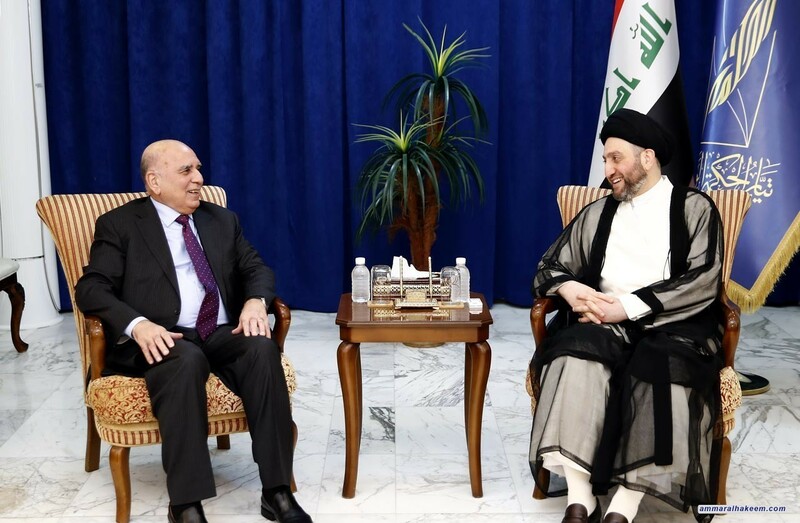 His eminence with Hussein discussed development of fiscal policy and public budget. His eminence stressed the need to develop fiscal policy according to modern standards and achieve the highest benefit to the Iraqi state, called on to leave administrative bureaucracy that hinder development and creativity, stressed the need to introduce modern technology and electronic government to eliminate corruption and and control resources of corruption. Regarding the public budget, his eminence called on to adopt budgeting projects rather than figures, indicated that the budget must be built on the need and priorities. On the politically matters, his eminence renewed support to the current government during the implementation of government program, called to complete the government cabinet as soon as possible, and make the most efficient and honest and capable officials in charge of managing the remaining ministries.